Deliberate creation is not just for woo-woo folks! 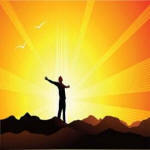 Every day people are leveraging the law of attraction to get what they want ... how about you? People everywhere already practice this - not just energy healers and life coaches, but athletes, executives, students, homemakers, leaders, etc. "LOA for the Real World: 7 Big Fat Clues to Getting What You Want"
As someone who has spent over a decade fine tuning my own creation skills and making a living helping others do the same, it's my pleasure to offer you personal insights about where we often get hung up and what to do about it. THANK YOU!! for your book & this email. I have started reading it and am enjoying it very much. It contains very powerful, life changing information which is EXACTLY what I needed right NOW!! Perfect timing as I am in transformation - I came across you as a "cool people" link through an Angel website. I'm truly grateful that I did! THANK YOU for offering this book for free. I look forward to sharing abundance with YOU when that happens for me! Your free ebook was the jump start I needed at this point in my life and I wanted to say thank-you for that and the follow up stories that have been coming. in a few days I will be ordering your pray rain journal and self love book. again thank-you. Beautiful & powerful stuff Jeanette, "Thank you" - a trillion times. Thank you for your powerful eBook. It's very enlightening. The LOA sent this ebook to me! I swear on it! I read it and thank god I did. Thanks Jeanette I am blessed I stumbled across your ebook in the past 48 hours I have learned so much and that is again the LOA providing me support. I am relatively new to LOA and have really enjoyed reading your ebook. It's great to at least see the success you have had in applying these techniques. I believe, I have found the right coach to guide me, your work is simply fantastic. I truly appreciate all your hard work, these tips are simple and easy to understand just like I wanted. Because of the personal sharing that you gift your readers with, I feel like I know you. Your work is inspiring and heartfelt (or maybe even soul felt). Your e-book is really good. Thanks to you I understand what I was doing wrong, I wasn’t enjoying my life because I was so focus on my desires and everything was out of control, nothing was going as I wanted. I read your book and I found the answer. Gracias. Damn this is good Jeanette! Love it! I just wanted to tell you that among all the people I've "met" on the web, LOA coaches, masters and so on, you are the one that makes it a) the most simple, b) the most fun, c) the most down-to-earth, d) the most... I can't find the word. I know other coaches do say this too, but not like you. Thank you for sharing so much with everybody with so much enthusiasm, that I can feel it even across the ocean. You are brilliant! I'm trying this STAT!! Oh my gosh. Your material just keep getting better and better :). You are amazing Jeanette! Your message is so focused Jeannette. Your work is amazing and fun. I am lucky to be a recipient of what you do . . . . thanks! All your work is valuable, but this one hit the spot for me. Just what I needed to hear! 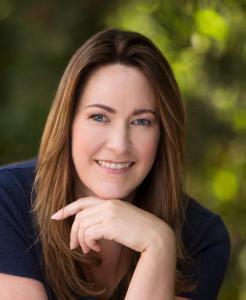 Hi Jeanette, I just wanted to tell you that I am loving you new book! I'm getting so much out of it despite years of LOA study. The chapter on self-love is really making an impact. Amazing that I've never heard anyone teach exactly how important it is for this process. You're so cool! Love ya! As always, you really write so beautifully and your message is very powerful. You are connecting powerfully on a "human" level such that people can relate to your advice more easily instead of getting lost in books and famous people's case studies. In other words, when we read your stories/advice, we say I know what that feels like! Hope that makes sense. Really Good Job! Your ebook is absolutely fantastic. It is so precise, so focused, with pin point accuracy and most of all it is very easy to read. I have been using the Law of Attraction since 2005. Your book is absolutely fantastic. I read it over and over. What I really love is that there is white space between the main points. This gives the signal to really digest the previous sentence. It is so easy to read. You are a very talented writer. I am truly grateful that you have come into my line of communication. It has been so beneficial for me. 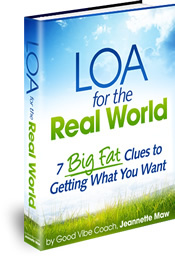 Thank you for your ebook, "LOA for the Real World: 7 Big Fat Clues to Getting What You Want." The clues are, to say the least, terrific, wonderful, awesome, stupendous, fantastic. I am reading your new ebook (thanks for the free-ness of it) and as you know; I am very picky about who I read (I am reading Wayne Dyer now and of course you even quoted him). But I really enjoy it and like the simplicity you lend to everything because this is much simpler than we let it be (and yet it is so deeply complex and infinitely expanding) - I just love it all. Wow, Jeannette.....I cant thank you enough for giving me (and all of us) this incredible book....it is so down-to-earth that it wasn't until 1 minute ago after reading this that I finally understand this principle...!!!!! Thank you so much!!!!! I found what you wrote so profound, so spiritual, and so true for all of us human beings. Thank you so much for sharing this.